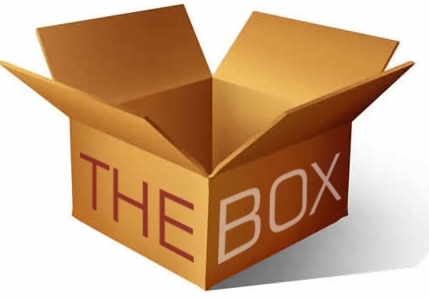 Does God Work Outside The Box Of Scripture? The story here in 1Kings 22 is one of my favorite in the Bible, if not my most favorite. Why? Because it shows that God is not the type of God that Americans make him out to be. He goes against the grain, even against what American Christianity thinks of him as. Stories like this, and that of Jehu, who deceived Israel, pretending to be a huge follower of Baal, only to have it later revealed that it was a set up the whole time; he really was just out to slaughter all of those who turned against the LORD to follow a false god. So we can see that God doesn't work within the so-called box of scripture in these instances. We assume since God is holy, just, righteous, and cannot lie, that such deceptive acts could never be condoned by him. But the scripture's teaching is so completely obvious in the two mentioned passages. Dispensationlists might attempt to squirm out of these passages by their patented line, "But this is the NEW Testament." But us Reformed know better than that. Jesus Christ is the same, yesterday, today, and forever (Hebrews 13:8). We have known and believed in the sovereignty of God over all events and peoples, for several years. But the more we get to know Christ, the more we see it true in the practical areas of life; and we are establishing our faith in his total control in our hearts, rather than just as an intellectual head knowledge. It is amazing the peace you can obtain by believing that no single detail of life is outside of God's choosing and control. But in that sovereignty, over the years, we have seen some wild stuff. Do you believe God can take a sinful situation and turn it into something for his glory? We experienced that in my conversion to Christ, where I ran away from home in rebellion, moved in with a woman, who was herself straying from Christ; but who presented the gospel to me in her sin; in which I was saved and turned into a disciple of Christ. This caused her to turn her life back to Christ, and here we are, married for 14 years, with 8 children being raised for the glory of God. So God used a Christian who was rebelling against him, to convert a sinner to himself. Talk about outside the box! Do you believe that it can be God's will for a Christian to be openly sinning against him, and still use that Christian for his holy purpose? I do. You don't have to condone the sin itself in order to acknowledge that sometimes God desires and chooses to do things that way. I wouldn't call the two Bible stories I mentioned, an example of this exact thing; because Jehu and the lying spirits were not sinning (although American Christians of today would accuse a Christian who did that very thing today, of sinning). It is certainly against scripture for a woman to speak in the assembly (1 Corinthians 14:34), but do you believe that God could use this ignorant sin for his glory, to edify his body, and to glorify his name? As much as I hate it, I have to admit, I believe God chooses to do this sometimes. Here the key choice of words "God chooses to do this", come to play. We are recently witnessing a huge, outside the box, working of God. We see something happening in certain Christians' lives, and God's working through it with someone, whom it appears, he is drawing to Christ. It really is quite amazing to watch. It is confusing, but exciting. We've never seen it on such an extreme level. And if we were to tell the story to just about any Christian listening, the entire situation would be universally condemned as being against the scripture, against the character of Christ, against principle, so on and so forth. They would say these Christians are deceiving themselves. But hearing people share their hearts, learning all the facts behind the situation, and seeing how God is working with people's weaknesses, it is almost undeniable that this is the way God is choosing to work things. Maybe we could say, "Well God is just using what he has to work with".. fine, if you think that I guess. I suppose that part of it isn't really that important anyway. The main thing I take away from all this, is that God loves his elect with a love that is incomprehensible, and that he will continue to love them despite their failures and flaws, and even continue to use them for his glory, without condemnation (even though he does not condone the behaviors).